Hold onto your phasers — the dream of many a Trekkie is about to come true. 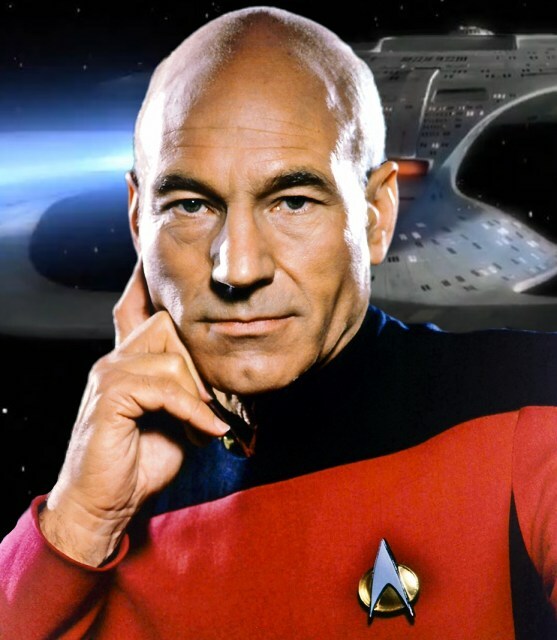 Star Trek: The Next Generation will be released on Blu-ray starting in 2012. Every one of the show’s 178 episodes will be released eventually, though not all at once. Why such a slow release? Well, it turns out that instead of upconverting and selling for a premium, the producers of this new version are doing it right. How right? They’re scanning the original 35mm footage, cutting together the shows from that, and re-creating the original effects in high definition. Now that’s what I call a proper remastering. George Lucas, take note. They’re leading the whole project with a sort of proof-of-concept disc comprising the pilot episode and two fan favorites, “Sins of the Father” and “The Inner Light,” from seasons three and five respectively. Perfect for fanboy screenings, and it alleviates the inevitable problem of the weak first two seasons of the show arriving as the vanguard of this new release. The release will be full 1080p with 7.1 DTS audio reconstructed from the show’s original tracks. I’m guessing it will be widescreen, since they weren’t shooting on a “flat” 1.85:1 Panavision setup. Whether they composed for that, I don’t know (i.e. you might be able to see the edge of the set on the full 35mm frame), but either way it should be a widescreen image. Expect the first “sampler” Blu-ray, entitled The Next Level, to hit on January 31 of next year for $22, and the rest to follow.